God Almighty, by His very nature, is sovereign. However, we saw in a previous chapter, a sovereign God will not do anything contrary to His nature. We know God’s treatment of us will be consistent with His nature. Although God will not violate His nature, He is still sovereign. He is still God Almighty and Lord of all. How, then, does God’s sovereignty tie in with our free will? As we will soon see, God (out of His sovereignty) has chosen to give us a free will. He has given us the ability to make choices. Does this free will mean God is not sovereign? Does this free will mean God is not in complete control? As you will soon see, God has demonstrated His greatness by giving us a free will while still maintaining complete control. Mankind has a free will and an ability to choose. We do learn (at least some of us) from our mistakes. Selective Salvationists have taken the extreme position of saying mankind does not even have a free will or a choice; all of our actions have been dictated by God. Of course, this cannot be true because this would mean God forced us to sin. If we are forced to sin we cannot be held accountable for our sins. God cannot rightfully send us to Hell for something we are forced to do. God, in His sovereignty, has given us a free will and the ability to make choices. This free will does not take away from His sovereignty nor does it mean He has lost control. The chapter The Purpose of Choice examines the concept of choice in greater detail. God has a master plan and He has determined certain things will take place. These things will take place and no one, including Satan, can alter these events. As a tribute to God’s awesome power and control, He can blend our free will into His master plan. God’s master plan, however, never involves a person’s free will to accept or reject salvation. God was going to destroy Nineveh because of their great sin. Yet, when Nineveh repented, God altered His plan to accommodate this repentance (Jonah 3:10). When God was punishing Israel for three days because of King David’s sin, He stopped before the three days were complete because He was grieved (2 Sam. 24:15, 16). God told Moses He was going to destroy the Nation of Israel because of their sins, but changed His mind at the request of Moses (Ex. 32:9-14). God was going to kill Moses because his child was not circumcised, but changed His mind after Zipporah circumcised the child (Ex. 4:24-26). Elisha instructed Jehoash (King of Israel) to take some arrows and strike the ground with them. (This was a test to see how God was going to help him in a future battle.) Elisha was angry the king struck the ground only three times. Elisha said if he had struck the ground five or six times, He would have defeated Aram. God’s response was based on the King's actions (2 King 13:14-19). God was going to take the Israelites into the Promised Land, but changed His mind because of their sins. He took their children in 40 years later. Hell was created for Satan and his fallen angels, but God adjusted it to accommodate humans (Matthew 25:41). In the story of the widow and the unjust judge, God was saying He would adjust His plans to accommodate the consistent and persistent prayers of a believer (Luke 18:1-8). God’s destruction of Sodom and Gomorrah was based on how wicked they had become (Genesis 18:20). Abraham pleaded with God to spare Sodom and Gomorrah. God readjusted His plan six times based on Abraham’s requests. God said He would not destroy these cities if there were 50 righteous people. 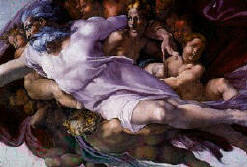 He then reduced it to 45, then 40, then 30, then 20, and finally 10 (Genesis 18:23-33). God held up destroying the Land of Canaan for 400 years (Genesis 15:13-16). God was going to destroy the Nation of Israel in the wilderness because of the golden calf, but changed His mind at the request of Moses (Exodus 32:9). For more examples of God changing His mind, look at the chapter Can God be Moved by Our Sins and Repentance? Besides providing more verses showing God changing His mind, it also provides verses showing God can be grieved by our actions, moved by our requests, provoked to anger and jealousy. Our actions do provoke a response from God. Not all of God’s plans have been set in stone. It is obvious from these verses some of God’s plans can be altered by our actions. God knows the future and He uses this foreknowledge to blend complicated events together. He can even incorporate our blunders to fulfill His will. I believe God makes accommodations days, weeks, and even years in advance to compensate for our disobediences. For example, God knew Moses would resist the idea of speaking directly to Pharaoh. Therefore, before God even approached Moses, He prompted Aaron to go into the desert to meet Moses (Exodus 4:14). Of course, there are always consequences when we do not follow God’s instructions. God can blend our disobediences into His master plan, but our sins still produce repercussions. 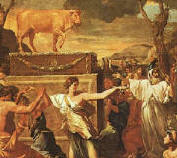 Some theologians suggest Moses’ reliance on Aaron caused people to look up to Aaron more than they should have, thus allowing him to assist in their folly of creating the golden calf (Exodus 32:9). When God chose to use Abraham and Sarah, He knew what their failures would be. God knew Abraham would lie, calling his wife his sister. God knew they would doubt His promise of providing them a son, and He knew they would scheme to produce a child through Hagar. Yet God still used them. In fact, God used the problems that arose between Sarah and Hagar as a typology (or illustration) of the "two covenants" (Gal. 4:21-31). Even before Jacob was conceived, God knew he would eventually turn his heart toward God. As a result, God chose to make him the father of the 12 tribes of Israel. Jacob, which means deceiver, lived up to his name. He schemed to gain the inheritance and birthright that belonged to the firstborn (Esau). Sadly, Jacob didn’t need to scheme to obtain these things. I believe if Jacob allowed God to do things His way, God would have provided Jacob the inheritance and birthright without his schemes and lies. I believe Jacob could have saved himself a great deal of heartache and pain if he was obedient and waited upon God. Of course, God used Jacob despite his sins, but Jacob’s earlier years could have been an example of victory instead of an example of behavior to avoid. Some may reject my observation and say, "If Jacob didn’t deceive his father, he would not have run away to the land of Ur of Chaldeans. Therefore, he would not have married Leah and Rachel and, as a result, we would not have the 12 tribes of Israel." Part of this is probably true. However, can we actually say it was God’s original desire to have Jacob commit polygamy and marry both Leah and Rachel (and their two handmaids)? Remember, Jacob was tricked into marrying Leah (Genesis 29:22-28) and as a result, Leah never felt loved by Jacob (Genesis 29:31-34). Rachel’s infertility was a result of the rivalry between her and her sister (Genesis 29:31). Multiple "mothers" caused great tension between Joseph and his brothers. Jacob’s unhealthy favoritism toward Joseph was a result of this mess. Many theologians feel the deception of being tricked into marrying Leah was a consequence of Jacob’s life of deception. I believe if Jacob had waited on the Lord, God would have provided him with a wife who would have borne him 12 sons. Just as Abraham sent a servant to Ur of Chaldeans to find a wife for Isaac (Genesis 24), it is very possible Isaac could have done the same for Jacob. It is also quite possible the woman brought back would have been Rachel. When God elects (chooses) someone for a service, He is capable of blending in their good and bad decisions. Because of His foreknowledge, God can accomplish His ultimate goals despite our shortcomings. Our choices (resulting from our free will) will either display the benefits of waiting patiently on the Lord or display the consequences of doing things outside of God’s will. The choice is ours. Our lives can either end up victorious like Joseph, Samuel, and John the Baptist, or we can end up wasting most of our lives like King Saul, King Solomon, and Samson. Some people will say since God chose to use a person to do a righteous deed, He must have also forced him to become a believer. I don’t think this is true. I believe God, through His foreknowledge, knows who will and won’t become believers. Based on this knowledge, I think God chose to use these people for specific tasks. The very fact some of these great leaders failed miserably is proof they were not forced to become believers. If God had forced them to become believers to carry out a certain task, I think God would have forced them to be successful all the way to the end. These people still had a free will and a choice to follow God’s will or their own. As we can see, many of them made some bad decisions. Yet, God took these bad decisions and incorporated them into His master plan. Did God force Joseph, Samuel, and John the Baptist to become believers and live very holy lives? No, of course not. They each could have chosen to do things differently, and God would have blended their lives into His master plan. He still would have used them, but their lives would have been powerful examples of what happens when you don’t follow God’s leading. Yes, God is sovereign and He can do whatever He wants. One of the things He has chosen to do, out of His sovereignty, is to provide us a free will. This free will provides us a choice. God does not want anyone to perish, but wants everyone to be saved. There are no "chosen few." He desires the love of everyone, even those who are currently without the gospel.